i would like to comment on your lamed - the source of kav mashuch is from the beit yosef and shulchan aruch ch.32 regarding the top yud of alef and resembling letters that have yudin (yudei shin, ayin etc.) Rabbi Wozner in his shu"t Sheivet Halevi writes that a diamond shaped yud (something like the lamed you have) is not obvious kav mashuch. He concludes that although there is place to machmir, one that is matir such a alef is acceptable [his lashon is: אין מזניחין אותו] i dont know to translate exact, but it means one cannot disregard such an opinion. seems that sefardim are the most meikel, doesnt rav ovadia pasken a lamed without a rosh is kosher? the poskim that pasel a kav mashuch on a lamed are Kol Yacov 32:106.
but mishna brura (mishant sofrim end of lamed) in name of lishkat hosofer and others that bdeived is kosher. 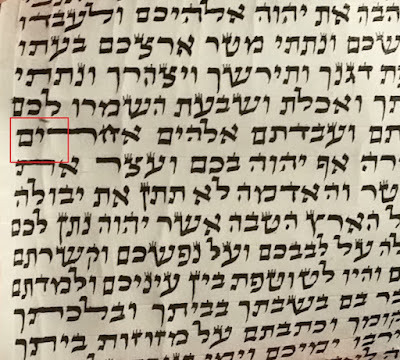 Rabbi Shtern in Mishnat Hasofer (5:111) writes that the MB and Keset (in his lishka) only meant after fixing the head, then bdeived it is kosher. This was in regard to a kav that is mamesh a stick only, but in the case ari posted i think all agree that it is kosher bdeived, and obviously as eli wrote should be fixed, and then is kosher. 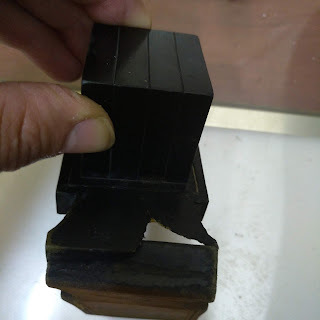 b) if one has no other tefillin he may use them without a bracha. This is in contrast to other pieces of sta"m that may not conform to the 'lechatchila' requirements (ie classed as 'bediavad') but nevertheless can still be used with a bracha. yes you are correct in regard the MB psak there. I was basicaly coming to prove that kav mashuch in lamed (and seemingly the same should be in regard to the vav of a mem)is not the same level of chumra as the kav mashuch in the yud of alef etc. 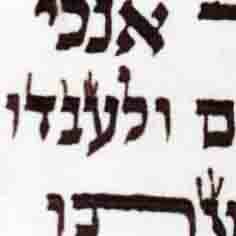 b. even a kosher letter bdeived if its tzura is not correct should be lechatchila fixed.